Egypt's primary budget deficit fell to 0.3 percent of GDP, recording EGP 14 billion in the first half of fiscal year 2017-18, down from 1.1 percent of GDP, or EGP 39 billion, in the same period during the previous fiscal year, according to a finance ministry statement issued on Sunday. This is the lowest Egypt's primary budget deficit has reached in 10 years, according to the statement. Primary deficit does not include interest payments on the debt as expenditures. Meanwhile, Egypt’s total budget deficit fell to 4.4 percent of GDP in the first half of the current fiscal year, down from 5 percent of GDP in the same period last year. Finance Minister Amr El-Garhy said the government is on track to achieve the targeted primary surplus of 0.2 percent of GDP by the end of fiscal year 2017-18, for the first time in decades. These new figures come on the back of economic reforms undertaken by the government to generate revenues and tighten spending, including applying a 14 percent value-added tax and cutting fuel subsidies, supported by a $12 billion International Monetary Fund loan agreed upon in November 2016. The first half of the current fiscal year also saw a 61 percent year-on-year increase in tax revenues, compared with an increase of 12 percent last year. 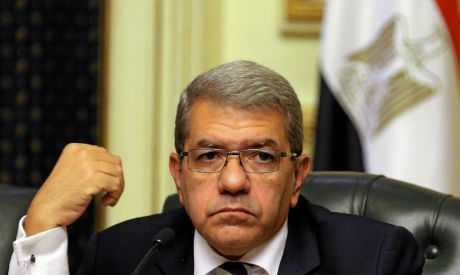 On social expenditures, El-Garhy said the allocation for supply commodities increased by 65 percent year-on-year to EGP 23.3 billion in the first half of the current fiscal year. This comes as the cash subsidies allocation for subsidy card holders increased by 140 percent year-on-year to EGP 9.9 billion. In June 2017, President Abdel-Fattah El-Sisi approved a EGP 100 increase in monthly allowances for beneficiaries of the Takaful and Karama cash subsidy programs.